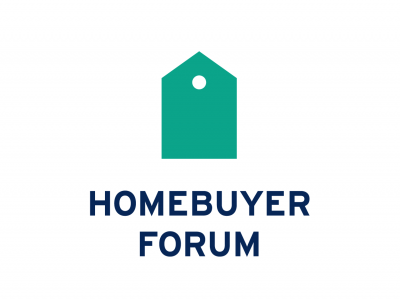 The Homebuyer Forum 2019 offered an informative and interactive evening for first-time homebuyers, parents helping their children get into a home, and homeowners looking to downsize. The actual forum itself featured four interactive panels on the home buying process; our panelists addressed over 200 participants (both on and offline). 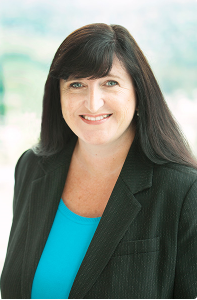 As CEO of BC Housing, Shayne Ramsay is responsible for the delivery of a wide range of housing programs and services. No longer just a provider of housing for low-income British Columbians, BC Housing has expanded its mandate during Shayne’s 16 years in the role to include other responsibilities, including licensing residential builders, home warranty insurance, and housing-related research and education. In addition to his work with BC Housing, Shayne is currently Chair of the International Housing Partnership, an international organization created to share innovative strategies for the development, operation and sustainability of social housing around the world. The IHP currently comprises 175 member groups from Australia, Canada, the United Kingdom and the United States. 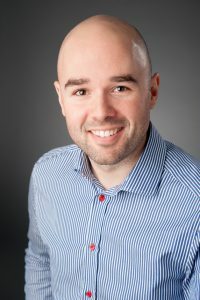 Shayne also chairs Housing Partnership Canada, which is a member of the International Housing Partnership and also focuses on collaborative solutions and shared experiences in social housing. Eric Bond is CMHC’s Principal Market Analyst and spokesperson for Metro Vancouver and the Fraser Valley. Eric provides commentary on new home construction, resale, and rental market developments and their impacts on the housing market. He holds a Bachelor of Science in Chemistry and Economics from Dalhousie University and a Master of Arts in Economics from the University of British Columbia. Eric Bond est chef analyste et porte-parole de la SCHL pour le Grand Vancouver et Fraser Valley. Il commente les marchés du neuf, de la revente et de la location et discute des répercussions qu’a leur évolution sur le marché de l’habitation dans son ensemble. M. Bond est titulaire d’un baccalauréat ès sciences en chimie et en économie de l’Université Dalhousie et d’une maîtrise ès arts en économie de l’Université de la Colombie-Britannique. As President & CEO of Fifth Avenue Real Estate Marketing Limited (Fifth Avenue) Scott directly oversees the growth and success of the project marketing and sales teams responsible for delivering sales success and developer partner satisfaction. Throughout his 28 years of work experience, Scott has formed and led teams that have set sales records in North America and Asia. 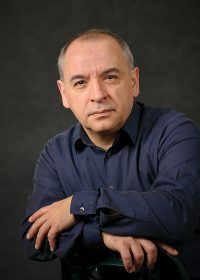 He has consistently provided high quality strategic advisory services to leading global organizations and expanded his marketing and sales strategy creation, culture development and performance enhancement expertise. Scott is a “hands-on” executive who leads a talented and experienced team of strategic and operational experts to provide exceptional service to Fifth Avenue’s clients. He is actively involved in the development of the Marketing and Sales Program for each project. He is also personally involved in ensuring that Fifth Avenue has the most professional and dedicated sales representation in the market by leveraging his vast high-performance sales coaching knowledge and expertise. Scott is also a sought-after media resource and speaker with respect to the status of new multifamily home market in Metropolitan Vancouver. Previously, Scott served as a founding partner and Senior Vice President of Colliers International’s Residential Project Marketing Group working with clients including: Adera, Altus Group, Bosa Properties, Blexo Development, Century Group, Ernst & Young, HJ Properties, Macdonald Development Corporation, Omicron Development, Panther Group of Companies, Polygon Homes, Qualico, and Rize Alliance. Prior to Scott served as Chief Sales Officer at Kor Real Estate where he oversaw the startup and global expansion of Kor Real Estate’s project marketing firm. His work at Kor included extensive leadership of marketing and sales advisory assignments for projects located in Manila, Philippines; Anguilla; Playa del Carmen, Mexico; Miami, Florida, USA; Seychelles; Da Nang, Viet Nam and Bangkok, Thailand. Scott began his residential career working for Intrawest where he concluded by serving as Senior Vice President with Intrawest/Playground. He oversaw a billion-dollar-per annum portfolio of projects situated throughout North America and Asia. Scott was also directly responsible for leading strategic partnerships including Four Seasons Hotels and Resorts and negotiated a significant joint venture with Colliers that expanded Playground’s business to Asia, Australia, and New Zealand. 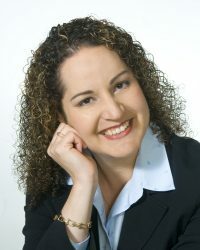 Alisa Aragon, Mortgage Expert, Bridgestone Financing Pros with DLC Mountainview Ltd.
An award winning 6 year member of the Homebuilders Association Vancouver, Alisa Aragon is the go-to expert for all of her client’s financing needs. She understands the construction industry as a result of extensive and varied career experience with high profile companies, including Polygon Homes, Ledingham McAllister, The Quigg Group and Hollyburn Properties. After more than 15 years in the real estate industry, Alisa obtained her Mortgage license from the University of British Columbia and started her own business in 2011. She recently established Bridgestone Financing Pros (with Dominion Lending Centres Mountain View Ltd.) after a successful partnership in Your Mortgage Solutions Group with Dominion Lending Centres Mountain View Ltd.
Alisa finds joy in positively impacting the lives of others while building lasting relationships! Whether her clients are a first time home buyer, or an established business looking to grow, Alisa will help them become successful with their financing needs. Creating short and long term strategies that are customized for each client, she then achieves a successful outcome by using a unique combination of financing tools. Her clients come to her for residential and commercial mortgages, leasing of equipment and machinery. She also brokers unsecured personal and working capital loans that help them take their businesses to the next level. Alisa is a regular contributing writer to Real Estate Weekly (REW.ca), and the New Home & Condo Guide Metro Vancouver Edition. Clinton is a District Vice President in Metro Vancouver with HomeEquity Bank, holds the position of President of the BC Lenders Group Association, BC’s largest Association of banks, credit unions, monoline lenders, private lenders and mortgage insurance providers. He brings more than 30 years of business experience in a broad range of disciplines ranging from military, enforcement, business analysis, operational analysis, consulting, sales, sales training, management, small business owner, business development and financing. Clinton has qualified for HomEquity Banks highest recognition ranking of President’s Club for 2014 and 2016, and 2017 and Gold Club in 2018! 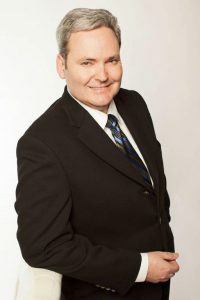 “In my current role as a District Vice President I am responsible for establishing and maintaining relationships with mortgage brokerages as well educating those partners about our products, and assisting them in developing their channel partner relationships.” Clinton is most passionate about having the ability to help retired, and soon-to-be retired Canadian homeowners realize their dreams and goals to live a vibrant and enjoyable retirement and supporting solid and consistent financial plans for all Canadians. Clinton is the President of Vancouver’s most prestigious seniors group Seniors Synergy; a network of professionals who service older Canadians with everything from mortgages, healthcare, in-home care, integrated health care, legal services, memorial services and transitional care, home renovations, and realty services just to name a few. Clinton is also the sitting Chairman of the Board for the BC Lenders Group Association; a non-profit group made up of local and national lenders and insurers. The group is committed to providing support to mortgage brokers, broker associations and lenders by increasing the level of professionalism, knowledge and efficiency through education. Clinton identifies as a life-long learner who believes in constantly increasing his knowledge through continuous education, reading and industry best practices. Clinton enjoys spending time with his wife and kids and making this world a better place together. Chris is a partner with Kuhn LLP. 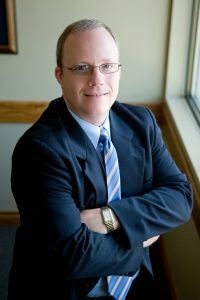 His practice is primarily focused in the areas of business law, real estate development and charities. Chris acts for clients of various industries including construction, manufacturing and intellectual property. Chris has experience in advising clients on significant business transactions including mergers and acquisitions, shareholders agreements and complex corporate reorganizations. Chris acts for a number of land developers in both the private and charitable sectors which work includes rezoning, subdivision and financing. Chris also provides advice to numerous large and small charities and assists non-profit clients in the incorporation and charitable status application process. Chris is married with two children. When time permits, Chris likes to spend time with his family, tackle projects in the garden, or watch hockey and tennis. Wendy has 21 years of experience in licensing and the regulation of professionals, as well as legal matters, government, housing and consumer protection. She is responsible for administering the Homeowner Protection Act, overseeing licensing compliance and consumer-service operations. She has led important initiatives to increase the quality of residential construction and strengthen consumer protection. 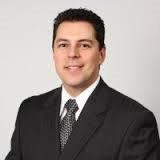 Tony is the Executive Director of the Condominium Home Owners’ Association of B.C. (CHOA), a consumer association in British Columbia with over 200,000 members comprising strata corporations, owners, and business members who serve the strata industry. Tony is the weekly Condo Smarts columnist for The Province and The Times Colonist. Since 2002 Tony has written over 1,000 columns and information bulletins dedicated to strata living and is the co-author of “A Practical Guide to Bylaws: the Strata Property Act, and “Understanding Governance: Strata Rules of order and procedures in British Columbia.” Tony has served as a director/committee member for the Homeowner Protection Office, BC Building Envelope Council, Canadian Standards Association, The Real Estate Council of BC, and continues to play an active role in research and development of building standards, legislation for strata corporations and consumer protection. With offices in New Westminster, Victoria and Kelowna CHOA provides service to its members throughout the province, promoting an understanding of strata living, and the interests of strata property owners. On average the association fields 300 inquiries a day from owners, strata council members, managers, and agents, and delivers over 100 seminars annually on a variety of strata related topics including governance, operations, and administration. 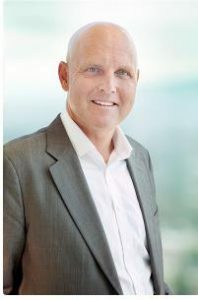 A former Vancouver police officer, Phil Moore has been a REALTOR® and member of the Real Estate Board of Greater Vancouver (REBGV) since 1989. He works with the Burnaby-based RE/MAX Central. In addition to his real estate business, Phil is active in the community and is involved with many charities, including BC Camp Choice. Glenn is the Owner & Founder of Duxbury & Associates-Building Inspection and Consulting Ltd., a family-owned service business, based in New Westminster, created to serve, educate and protect homeowners, home buyers, renters and landlords. Some of the larger Clients now have included BC Hydro, both area Universities, the Vancouver and Surrey School Boards, Fortis BC, numerous Law firms and Property Management companies. Working closely with Strata Councils and their various elected members as a licensed Property Manager for over 12 years, Glenn has presented to thousands of 1st-time home buyers and has served on several Boards. 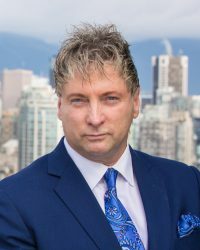 An educator and mentor, as well as an expert witness & speaker, Glenn & his company is also a member of numerous professional Associations, including RCI, ASTTBC, Consumer Protection BC, the Safer Home Society, HAVAN, BC Building Envelope Council and the Better Business Bureau. Glenn joined the LJ Christmas Manor Board in 2018, upon invitation, for his extensive technical knowledge and experience. Bridgestone Financing Pros with DLC Mountainview Ltd.
Duxbury & Associates – Building Inspection & Consulting Ltd.